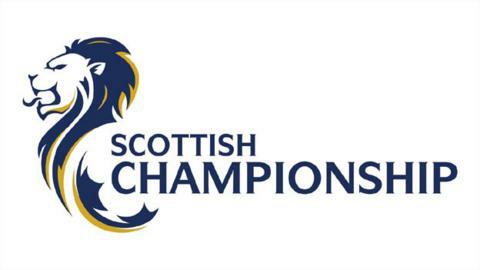 Both legs of the Scottish Championship play-off final will be screened live on BBC Alba. The first leg will take place on Wednesday 13 May, with the return four days later. Alloa Athletic and Forfar Athletic established healthy advantages going into Saturday's semi-final second legs. Forfar are 3-0 ahead as they travel to face League One rivals Stranraer, while Championship side Alloa start with a 2-0 lead at home to League One's Brechin. If they protect their lead, Alloa will be at home for the second leg as the higher-ranked team this season. Scottish Professional Football League chief executive Neil Doncaster said: "The Scottish Championship play-off provided tremendous entertainment and drama last year and this season's finale promises more of the same. "The four teams involved have each enjoyed seasons full of great moments and we know one of them will emerge on Sunday week with a victory that will provide a real highlight of their campaign. "The ongoing support of BBC Alba to Scottish football and the Championship play-offs in particular is hugely valued by the SPFL and it's great news that these games can be enjoyed by fans across the country."